Few sticks and stones found underwater. 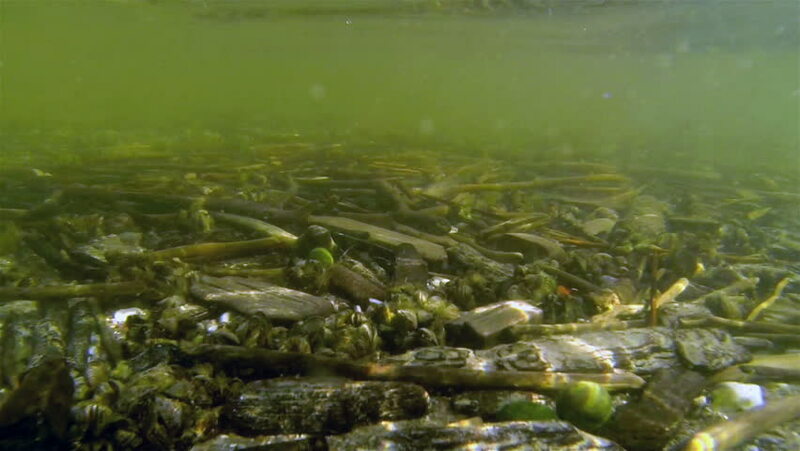 In the wide lake floor you would see a number of wooden sticks and some different sizes of mussels stone carp. hd00:30School of salmon fish underwater in Sea of Okhotsk.